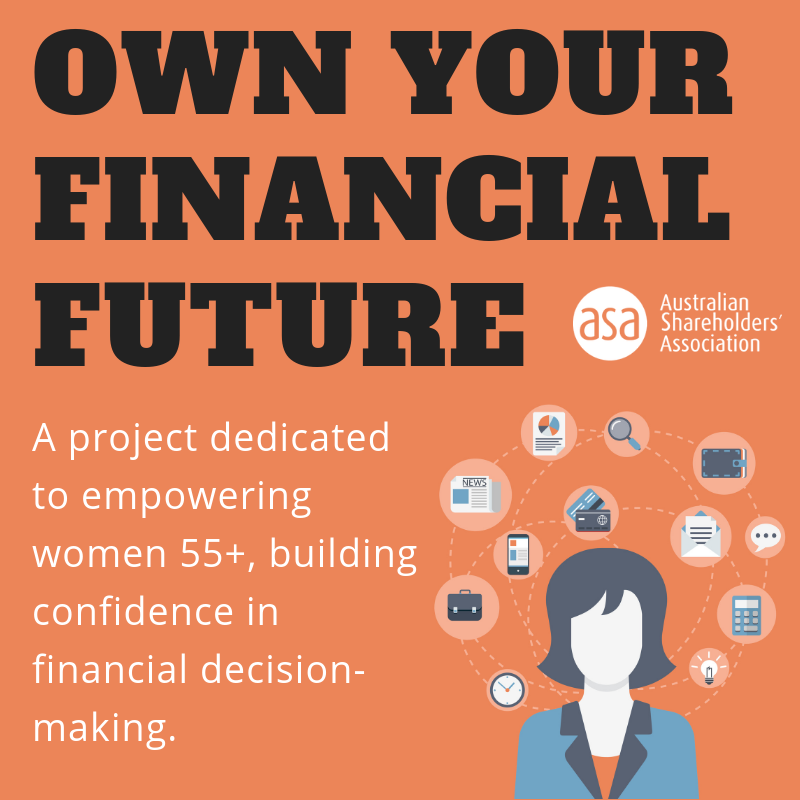 Australian Shareholders’ Association (ASA) will be running a project funded by an ECSTRA grant to assist women 55+ to build confidence to participate in financial decision-making. The goal of our financial literacy project, Own Your Financial Future, is to empower older women with an understanding of basic financial concepts. Another objective is to give older women the confidence to have conversations with their partners, children and financial advisers about how the finances and investments are structured. We completed the pilot project in Victoria in September 2018. Free for women over 55, we have workshops scheduled around Australia with confirmed locations listed below. These workshops are geared towards women who have never been involved in managing their finances or investments. If you have never attended an education event about managing finances or investments, or do not know where the funding for your retirement comes from, you will benefit from these workshops. All workshops are free for attendees. Click on the city of your choice to register.